Here are the classes we offer at Propel USA in Longmont, Colorado. Are you new to shooting? 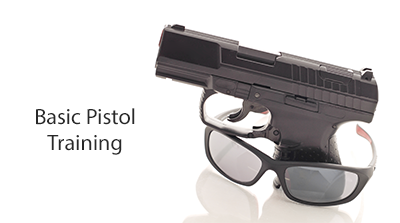 Maybe it’s been awhile and you would like to brush up on the pistol basics. Whatever your reason the Basic Pistol Training Course offered by Propel USA takes you through all the basics and will make you proficient in pistol terminology, handling handguns whether semi-automatic or revolver; aiming, and shooting handguns. Within each category there is a lot of content that will help you become familiar and comfortable with handguns. This course includes live fire training at the range. Our NRA Certified Instructors will provide classroom instruction and range time that lasts about 8 hours. Some classes are broken into classroom instruction one day and live fire instruction another day. Each class offered will provide dates and times so you will understand the class schedule. You don’t have a handgun yet? No worries. We have a rental option to use one of our handguns and we will provide the ammunition for you as well. If this option is for you, just add the handgun extra option to the shopping cart when you purchase your training. When you successfully finish the class you will receive a NRA training certificate that will meet the education requirement for your concealed handgun permit in Colorado. Choose a class below to reserve a seat for a class in Colorado. Are you new to shooting? Maybe it’s been years since you handled a rifle and you would like to brush up on the basics. Whatever your reason the Basic Rifle Training Course offered by Propel USA takes you through all the basics and will make you proficient in rifle terminology, handling; aiming, and shooting rifles. Within each category there is a lot of content that will help you become familiar and comfortable with rifles. This course includes live fire training at the range. Our NRA Certified Instructors will provide classroom instruction and range time that lasts about 8 hours. Some classes are broken into classroom instruction one day and live fire instruction another day. Each class offered will provide dates and times so you will understand the class schedule. When you successfully finish the class you will receive a NRA training certificate. Are you familiar with shotguns? Maybe it’s been awhile and you would like to brush up on the basics of handling and shooting a shotgun. Whatever your reason the Basic Shotgun Training Course offered by Propel USA takes you through all the basics and will make you proficient in shotgun terminology, handling shotguns, both semi-automatic or pump action; aiming, and shooting shotguns. When you successfully finish the class you will receive a NRA training certificate for shotgun. 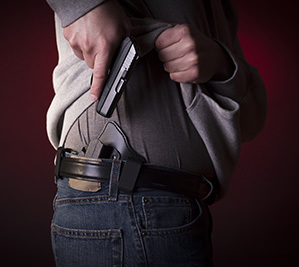 people believe they can take a class, apply for a concealed handgun permit and they are set. That is only the beginning. While basic pistol training does provide the basics, a Concealed Carry (CCW) and Home Defense class offered by Propel USA will provide you with a lot of valuable information to equip you with the proper knowledge when deciding to apply for a Concealed Handgun Permit. Our Certified USCCA instructors will teach you what you need to know when you decide to conceal carry. When you successfully complete the 8-hour class you will receive a USCCA training certificate, which meets the education requirement for your concealed handgun permit in Colorado. Both options provide a way to build knowledge and confidence when it comes to basic pistol operation, concealed carry, and personal defense. The NRA Home Firearm Safety Course is a non-shooting course that teaches students the basic knowledge, skills, and proper attitude necessary for the safe handling and storage of firearms and ammunition in the home. This course is an excellent choice for those who have or plan to have firearms in the home and would like a better understanding of firearms and how they operate. NRA’s three primary rules for safe gun handling. Primary causes of firearms accidents. An understanding of basic firearm terminology. Identify the different components of pistols, revolvers, rifles, and shotguns. How to unload different types of firearms. Identify ammunition types and understand their components. Cleaning, care, and safe storage of firearms in the home. We also discuss the benefits of getting involved in the shooting sports. Students will receive the NRA Home Firearm Safety handbook, NRA Gun Safety Rules brochure, Basic Firearm Training Program brochure, and a course completion certificate upon successful completion of the 4-hour course. The NRA Range Safety Officer Class was developed in response to the demand for a nationally recognized range safety officer certification. NRA Range Safety Officers are people who possess the knowledge, skills, and attitude essential to organizing, conducting, and supervising safe shooting activities and range operations. When you successfully complete the 9-hour class you will receive a NRA training certificate, certifying you as a Range Safety Officer. You will be fully equipped with the safe knowledge of shooting with friends and family. You can also help at shooting events or even earn an extra few dollars as a Range Safety Officer (RSO) at a gun range near you.